Nurse practitioner Linda Gottwald serves on the adjunct faculty of Northwestern Michigan College. Also the executive director of the Great Lakes Humane Society animal shelter, Linda Gottwald is a fan of the late singer and actor Dean Martin. 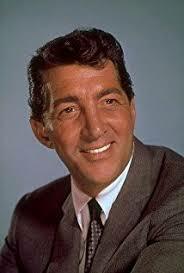 Born Dino Paul Crocetti in 1917, Dean Martin dropped out of high school, boxed, and smuggled liquor. He found a more stable life when, still a teenager, he sang for a big band. His talent took him to the radio, where he had his own 15-minute show in New York City. In 1946 he met the up-and-coming comedian Jerry Lewis. The duo went from NBC radio to star in 16 successful feature films, but because of creative differences, they split up after ten years. Martin restarted his solo career, gaining critical acclaim as an actor in The Young Lions opposite Marlon Brando and Montgomery Clift. He became part of the adventurous Rat Pack, joining Frank Sinatra, Sammy Davis Jr., Peter Lawford, and Joey Bishop. The quarter starred in several popular films, including Ocean’s Eleven and Robin and the Seven Hoods. His musical career remained strong, with the 1964 release of Everybody Loves Somebody, which displaced the Beatles from their chart-topping position. Martin then moved to two hit variety-comedy shows on NBC. Although he did not actually consume alcohol on the show, he was well-known for his drunken persona. Married three times, he experienced tragedy when his son Dino died in a military air crash. His final performances came with fellow Rat Packers Sinatra and Davis. Martin died of respiratory failure on Christmas 1995 at age 78. A Traverse City, Michigan, resident, Linda Gottwald has treated patients as a nurse practitioner at Munson Medical Center since 2011. She concurrently serves as executive director of the non-profit animal shelter Great Lakes Humane Society and an adjunct faculty member of Northwestern Michigan College. When she isn’t working, Linda Gottwald enjoys hiking the trails of Northern Michigan. One of the most popular wilderness hiking destinations in Northern Michigan is the Sleeping Bear Dunes National Lakeshore. Hikers can enjoy the natural beauty of rocky bluffs that rise 450 feet above Lake Michigan as well as miles of beaches, high dunes, lushly forested regions, clear inland lakes, and an island lighthouse. 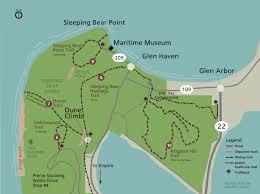 Key wilderness trails in Sleeping Dunes include the Good Harbor Bay Trail, which offers a one-way loop through a lowland woods, and the Sleeping Bear Point Trail, which takes hikers through beautiful dunescapes and offers lake access. Hikers who don’t mind an upward trek can enjoy stunning scenic overlooks on the Pyramid Point Trail and the Empire Bluff Trail. Linda Gottwald has served as a nurse practitioner at Munson Medical Center since 2011 and holds membership with the American Academy of Nurse Practitioners (AANP). As the executive director of Traverse City, Michigan-based Great Lakes Humane Society, Linda Gottwald is dedicated to promoting the welfare of animals. Volunteers often play an integral role in helping a humane society serve its many functions. Here are five things you’ll be doing when volunteering at an animal shelter that can benefit you. 1. Meeting new people. Volunteering at an animal shelter widens your social network as you meet new people who share your passion to help animals. 2. Increasing the likelihood pets will be adopted out. Your efforts will help animals get ready to go to a new home. You may teach pets to become more socialized with people and care for them to improve their mental and physical health so they can leave the shelter sooner, thereby making room for new animals. 3. Lifting your mood. Volunteering helps you gain a sense of purpose and accomplishment which can boost your mood and overall health. 4. Learning new things. You will learn new skills when you volunteer at a humane society. You may gain knowledge about different animals and gain experience completing tasks such as working the phones or setting up meetings with potential new pet owners. 5. Engaging in mental and physical activities. 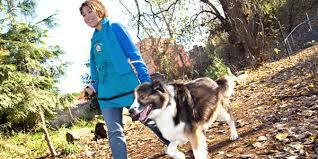 Being a volunteer at a humane society keeps you active by assuming duties such as taking dogs out for walks, cleaning pet housing facilities, or completing administrative assignments and other mentally and physically challenging tasks. Linda Gottwald is the executive director of Great Lakes Humane Society and holds a doctor of nursing degree from Chicago’s Rush University. Prior to earning her doctorate, Linda Gottwald received a bachelor’s degree in journalism from the University of Berkeley. When she isn’t working at the animal shelter, she enjoys freelance writing. Working as a freelance writer can be challenging at times since you can go extended periods of time without landing a job. However, there are several steps you can take to strengthen your pitches and find suitable work through print or online publications. One of the first things you should do is begin cold pitching bloggers and small businesses and let them know how you can help their brand. If you notice a promising start-up company doesn’t have a blog or much of a social media presence, pitch them about how you can help in that regard. Secondly, you should start following popular job boards on social media. Twitter has an abundance of specialized accounts dedicated to posting freelance writing opportunities, such as WhoPaysWriters and WahJobAgency. Additionally, you can source opportunities through Facebook groups and Craigslist. 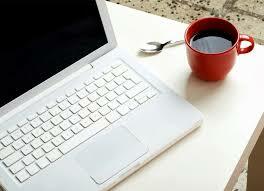 You should also build a professional website that showcases some of your best work to attract high-paying clients. Finally, don’t be afraid to take guest posting opportunities with popular publications or websites. These opportunities may not be paid, but you’ll gain recognition and experience that will help you build your resume and attract clients. A freelance journalist and animal welfare advocate, Linda Gottwald serves as executive director of Great Lakes Humane Society and director of Great Lakes Humane Society, a non-profit animal shelter in Traverse City, Michigan. In recognition of her volunteer work with the Chicago Anti-Cruelty Society, Linda Gottwald received the Albert Schweitzer Fellowship. 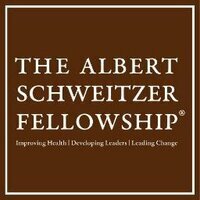 Established in 1940 and named for physician-humanitarian Dr. Albert Schweitzer, the Albert Schweitzer Fellowship (ASF) honors young professionals working to help the world’s most vulnerable populations live healthier lives. Fellows for Life is the global alumni network comprising more than 3,000 professionals in health-related fields such as medicine, nursing, law, public health, social work, and occupational therapy. Committed to upholding the mission of the ASF, Fellows for Life pursues strategies aimed at improving healthcare services and creating policy that treats all humans with respect and dignity. Apart from their regular work, 89 percent of Fellows for Life respondents participated in service work with underserved populations in the last year, and 43 percent work exclusively with underserved populations. Linda Gottwald holds responsibilities as the executive director of the Pine Cone Farm animal shelter in Traverse City. In addition to her administrative role with this animal shelter, Linda Gottwald is a nurse practitioner at Munson Medical Center in Michigan. Becoming a nurse practitioner takes years of practice, dedication, and education, as practitioners are widely considered to be among the most versatile and knowledgeable professionals in the nursing industry. The first step toward becoming a nurse practitioner begins with a four-year degree program in an area of nursing, such as obstetrics or pediatrics. After a degree is obtained, nursing students need to successfully complete the National Council Licensure Examination for Registered Nurses. While becoming a registered nurse is not mandatory for aspiring nurse practitioners, it can help in a number of ways, not the least of which is providing studying nurse practitioners with job opportunities while they complete the certification process. Individuals who pass the National Council Licensure exam will next need to enroll in a four-year nurse practitioner degree program, followed by a two- to four-year master’s program that issues Nurse Practitioner (NP) degrees. Having enjoyed a successful career as a nurse practitioner and a journalist, Linda Gottwald now works as a nurse practitioner for Munson Medical Center in Traverse City, Michigan, and as an adjunct faculty member at Northwestern Michigan College. Outside of her work in the medical field, Ms. Gottwald serves as executive director of an animal shelter located in northern Michigan. To stay informed of the latest developments in her profession, Linda Gottwald maintains membership in the American Association of Nurse Practitioners. The American Association of Nurse Practitioners (AANP) will host its 2014 Health Policy Conference on March 30 through April 1, 2014 at the Crystal Gateway Marriott in Arlington, Virginia. The conference will provide nurse practitioners with valuable information and the leadership and development skills necessary to provide the highest level of care for patients. The scheduled keynote speaker for the 2014 conference is Claire Shipman, a senior contributing reporter for ABC’s Good Morning America, Nightline, and World News Tonight. As a result of a merger between the American Academy of Nurse Practitioners and the American College of Nurse Practitioners in January 2013, the American Association of Nurse Practitioners (AANP) is recognized as the largest association for nurse practitioners in all specialties. Representing more than 171,000 nurse practitioners in the country, the AANP is committed to providing the highest quality health care to patients.